Sign up is OPEN for 2019! CLICK HERE TO RESERVE YOUR SHARE TODAY! Cadence Ecological Farm’s CSA program features weekly delivery of vegetables delivered to you by bicycle right to your door! Our 16 week share is available in 3 sizes. Small shares contain 5-7 items/week, regular shares contain 8-10 items/week, and large shares contain 11-13 items/week. Community Supported Agriculture, often shortened to CSA, is a prepaid subscription to a farm’s produce for the season. Cadence Ecological Farm's CSA gives shareholders a 16 week supply of veggies and herbs. Our produce is harvested the same day it is delivered to you, so you know it’s fresh as you can get! We are really passionate about what we do, so please contact us if you have any questions. Our regular CSA share is designed to feed a household of 2-3 people and consists of 8-10 items per week. If you are two people who enjoy cooking with vegetables, a family of four with a variety of tastes, or an individual who loves canning for the winter, it should work out about right. The larger share contains either more items, or larger bunches depending on availability. Smaller shares are for those who want to participate but have smaller appetites. Early in the season shares include more leaves, then fruits are added midsummer, then roots as the season transitions towards winter. Remember that joining the CSA may mean discovering new vegetables and eating a seasonal, local diet! It’s all part of the experience, and we will share tips and tricks that go with what’s in season by email and on our social media. 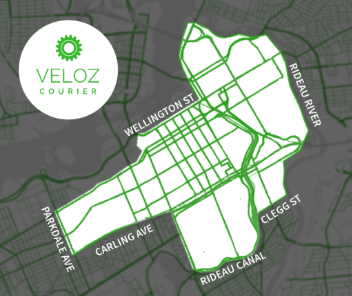 The CSA comes with delivery included - a $75 value for those in Veloz Courier’s service area, pictured here. They utilize zero carbon delivery by delivering on a pedal bicycle! If you fall outside the service area, contact us and we will get a quote and see if delivery to your area is possible. Delivery of the shares takes place Tuesdays between 4-7pm. Veloz Courier does a great job, and will coordinate a drop point with you if you aren’t home. We offer 1 hour pickup from 5-6pm Tuesdays, in the Glebe (4th avenue and Bronson), and on the Farm (2389 Pepin Court) for those who prefer it. The CSA model, where members sign up and pay for their share before the growing season, provides financial security for farmers. 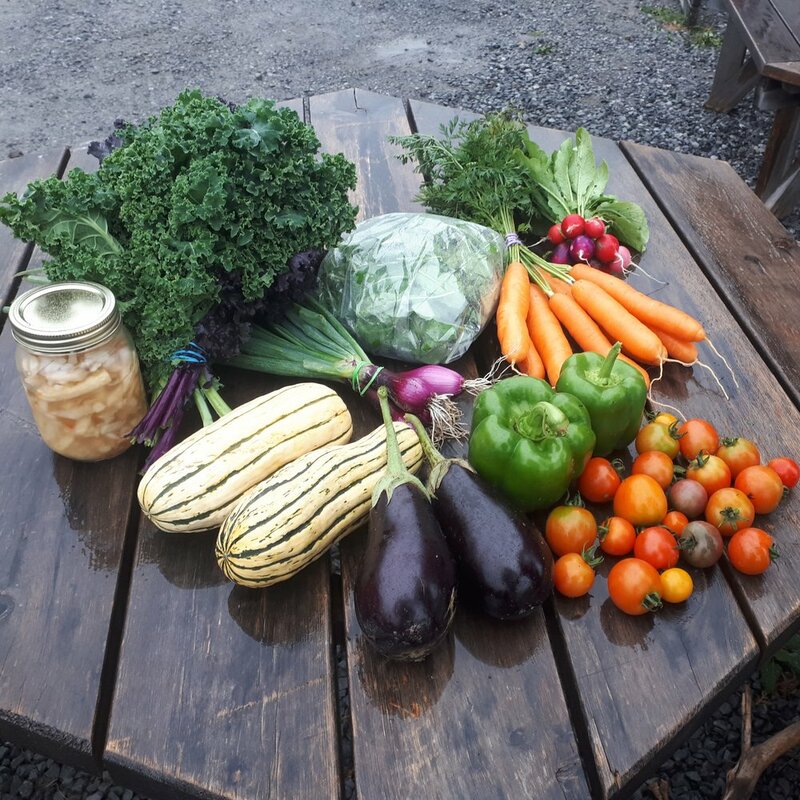 In return for your investment in our farm, we thank our members with loads of vegetables come harvest time! If you are interested in joining the CSA but this payment schedule does not work for you, please get in touch and suggest an alternative. Community Supported Agriculture is about supporting each other to live well in this place and to thrive, and Cadence Ecological Farm is committed to working to make that happen. Ready for some tasty seasonal eats and to invest in the future of farming?